Originally written for piano in the late 20th Century, Chopin's instantly recognizable work adapts perfectly to string orchestra. The melody is only in the Violin 1 part; the remaining parts are very simple and provide a great opportunity to work on pitch accuracy and hooked bowing technique. 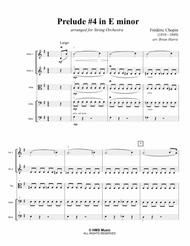 With very young groups, this work could be used to feature a guest soloist on the Violin 1 part. 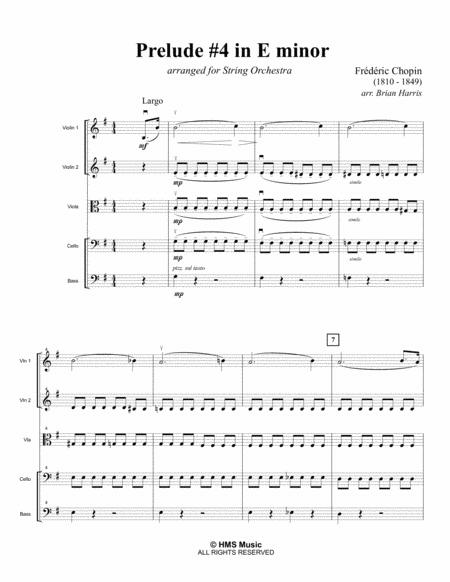 Also included is an extra part named "Cello/Viola" which is the viola line transposed for cello in case you are short on viola and need a little help balancing the ensemble. The work comes with full score, parts (with bowings marked), and a site license to permit your school to print as many copies as needed for sole use.